Laparoscopic ovarian drilling is a surgical treatment that can trigger ovulation in women who have poly cystic ovary syndrome (PCOS). Electrocautery or a laser is used to destroy parts of the ovaries. Ovarian drilling is usually done through a small incision (Laproscopy ), with general anesthasia. The surgeon makes a small cut (incision) in the abdomen at the belly button. The surgeon then places a tube to inflate the abdomen with a small amount of carbondioxide gas so that he or she can insert the viewing instrument (laparoscope) without damage to the internal organs. The surgeon looks through the laparoscope at the internal organs. Surgical instruments may be inserted through the same incision or other small incisions in the pelvic area. There are some risks associated with ovarian drilling, as outlined below. There is a minimal risk of bleeding, infection and death, like with most surgeries. Risks of anesthesia are also present. Tools used during the procedure could damage your internal organs. Your doctor could destroy too much of the ovary. This could cause your egg supply to diminish at a young age, sending you into early menopause. Scar tissue can form between the ovaries and fallopian tubes. This can make conception even more difficult after the surgery. Due to these factors, ovarian drilling is only advised for women whose fertility problems stem from PCOS. It is also only indicated for women with PCOS who have not had success with other fertility treatments. Ovarian drilling is sometimes used for women with PCOSwho are still not ovulating after trying weight loss and fertility medicine. 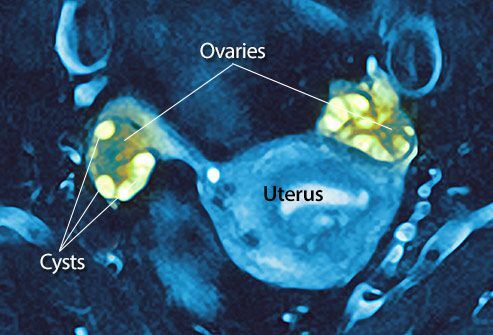 Destroying part of the ovaries may restore regular ovalution cycles.